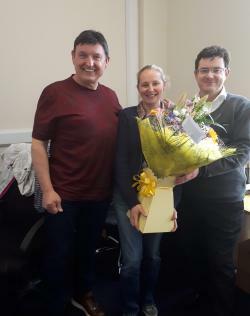 Natalie Ward recently celebrated 13 years continuous service with WG and we are delighted to congratulate her and to thank her for her loyalty and support. Pictured presenting the loyalty award are WG CEO Basil Holian and WG Finance Director Anthony Dunne. Congratulations Natalie and we look forward to working with you during the next 13 years as our company grows and develops.